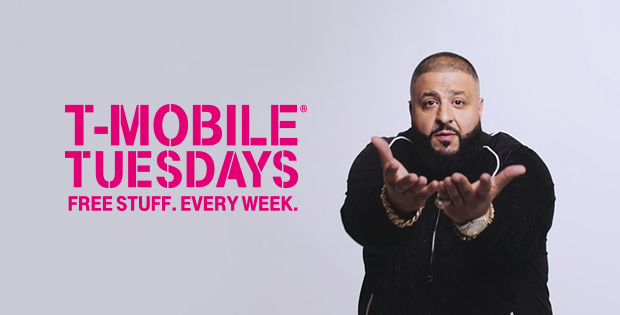 The next T-Mobile Tuesday is just a few days away, and here’s what T-Mo has in store for it. T-Mobile customers will get a free 12-week digital subscription to Billboard Magazine and 25 percent off most JBL products, including Bluetooth speakers and headphones, from T-Mobile stores. T-Mo is also touting a Billboard Music Awards playlist as a gift for its customers. Rounding out next week’s gifts for T-Mobile customers is $0.25 off a gallon of gas at Shell, up to 20 gallons. Next week’s grand prize winner will get a trip for two to the Billboard Music Awards in Las Vegas on May 21. This prize includes roundtrip airfare to Las Vegas from May 20 to May 22, two nights in a hotel room, two tickets to the BBMAs including walking the magenta carpet and the after-party, and $500 in spending money. T-Mobile will also provide a check for $2,915 for taxes and other expenses. Fifty first prize winners will each receive a JBL Xtreme Bluetooth speaker, and 100 second prize winners will each get a pair of JBL E55BT Bluetooth headphones. There will likely be a lyft credit and/or a free movie rental also. No Lyft? Due to local laws? I think there was some fashion week that was worse. I won’t be getting any of those this week (Shell gas would be really nice…..If I didn’t have to drive 5 miles to get to it), unless I win one of the top prizes. I’m never lucky like that, though. Lol right a fandango or vudu?? Yes the gas discount…defiantly one of the best perks. Gas seems to be the only thing worth it this time around. Oh well, at least I’ll need it this week. Dang, kind of a lame discount. Shell gas is gops, but I was hoping for another free movie and Lyft credit. Thankful for the Shell gas discounts. Billboard lost my credibility a while back when they released that “The 10 Best Rappers of All Time” list. It would be nice if they added another couple brands to that offer so it is actually nationwide. Unfortunately no other brands want to play along. No 1 will win no jbl anything. The DD drinks was worth it. So how does the Shell promo work? Never used it before. Do you show a code to a cashier? you sign up with the program via an app, and when you are at the pump, you enter your phone number and it reads the discounts and applies them directly to the pump. I tried that before… the cashier couldn’t get it to work. Just sign up for the program via app. Then in the store, get the Fuel Rewards pamphlet they have with a card stuck on it. Then in the app, click the menu/settings and find the Link a Card option. Enter the code from the card’s back. That’s it. So when you go to the store, swipe the FR card first, then your payment card. instant $.05(reg/mid) to $.10(prem) off. Our Shells here give double the rewards on Thursdays, so it would be $.10 and $.20 off. I’d suggest downloading GasBuddy app to see stations locally and their prices. Sometimes another station will be cheaper than a Shell even with the 5 cents discount. I use the map feature so I can see station along my route and plan accordingly. Got it to work, thanks. T-Mobile’s perk helps out a little bit. I had to contact Vudu because yesterday when I tried to select my movie, I didn’t have the credits applied. It showed I redeemed it last week, and it was put in my account, and should have still been valid (because my other account was fine), but I couldn’t use it. Hopefully I get another one applied.